The Property Casualty Insurers Association of America said Saturday it warned the National Association of Insurance Commissioners that U.S. tariffs could increase auto claims costs. Joint July comments from the PCI and other insurer trade groups to the Commerce Department estimated 60 percent of all auto parts are imported, and imported parts comprised 10.9 percent of all auto repair claim expenses. Tariffs on goods from abroad could affect OEM part prices as well as aftermarket ones. PCI policy, research and international Vice President David Snyder said auto glass prices already have begun to rise in response to the tariffs. LKQ CEO Nick Zarcone has said tariffs would be felt by LKQ subsidiary PGW, since many of its aftermarket windshields come from China. The trade group this summer warned that severity could rise by $3.4 billion if all imported auto parts were slapped with a 25 percent tariff. The Insurance Information Institute estimated nearly 202.7 million vehicles were insured in the U.S. in 2015, the last year for which we could find data. The estimated $3.4 billion would work out roughly to $16.77 more in premiums a vehicle if spread evenly throughout them all. However, it appears the $3.4 billion amount would fall somewhat given trade deals announced earlier this fall with nations like Canada, Mexico and South Korea. (A PCI representative was looking into that for us Tuesday.) For example, an April Center for Automotive Research analysis reported that 85 percent of imported metal stamped parts are from Canada, China, Mexico, South Korea and Taiwan. Taiwan appears to remain a wild card for insurers and repairers. “Taiwan is not deemed to be China,” so LKQ wouldn’t be affected by China-specific tariffs, Zarcone said this summer. 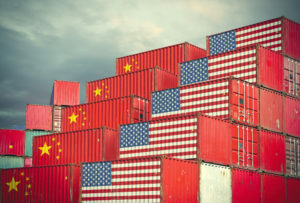 But “very little detail” exists on a Section 232 proposal by Republican President Donald Trump to slap country-by-country tariffs of up to 20-25 percent on automobiles and auto parts, Zarcone said. A tariff on Taiwan here would be LKQ’s “biggest exposure,” he said. “A unique feature to the aftermarket body parts industry versus the entire aftermarket parts industry is that 90% of the aftermarket body parts are produced in Taiwan,” the Automotive Body Parts Association wrote in a June position statement opposing Taiwanese tariffs.